60-second heat-up for quick styling on the go. The Conair instant heat 1-1/4 inch hot brush features 25 different heat settings for any style and any type of hair. the turbo heat boost feature allows pinpoint styling without damaging your hair. and the 60-second heat-up provides you access to your favorite hairstyle in no time. the ball-tipped bristles allow greater lift, comfort and tangle-free styling. this patented euro design also features dual voltage for worldwide travel. for added safety, this hot brush comes with an auto-off feature that turns off the brush if left on for too long or if it gets too hot. Want to have curly hair?? Read on!! Are you the one who always wished for to have soft curls or looking for scrunching your hair? Is it that cupid curls and spiral curls have always gained your attention? Read on!!! 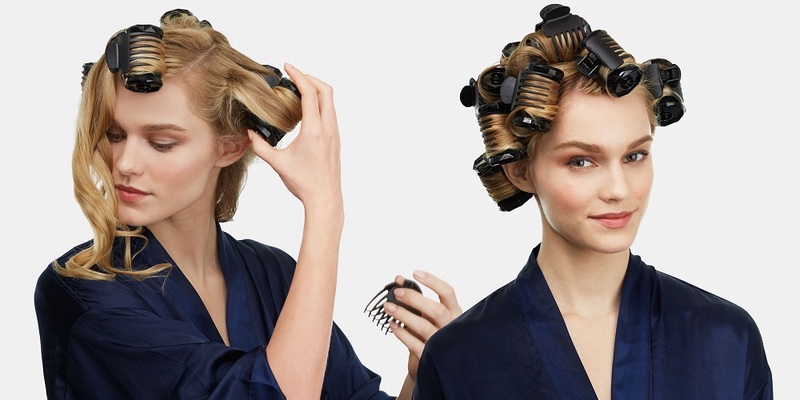 Rollers for hair can let you style your hair in a desired fashion. You should opt for a hair roller depending on the fact that whether you desire to have curly hair or straight hair. Another factor that should be taken into consideration while buying a hair roller is the length of your hair. You should also consider the detail that the hair roller you are opting for should not cause any damage to your hair. You can find many types of rollers, both non-heated and heated in the market. They all vary in length and width — a wide diameter gives a full, smooth curl, while a thin roller gives a tight, spiral-type curl. When using non-heated rollers, set your hair before taking a shower – the steam will help set the curls for a long-lasting style. And never wind rollers too tightly, or you could end up with hair loss. Marianna Genuine Boar Bristle Brush Rollers: It sets on to the hair easily and takes less time to dry hair as it has been made with the help of boar bristles. It’s very easy to remove. 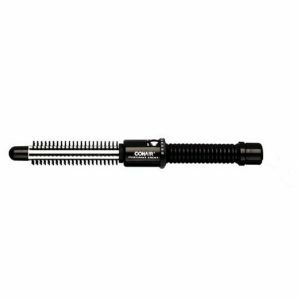 Conair Ion Shine Instant Heat Rollers: This product comes with various features like a) 12 temperature settings, b) variable heat settings to suit all hair types, c) ionic point, d) close cover which ensures easy storage, e) split center cover, f) on/off indicator light g) on/off switch. It is the ion shine that makes your hair healthy and also gives it a shiny look. Regarding its use, you need to just turn the dial to set it at a temperature of your choice. The instant heat ceramic technology of this product heats up the hair fast to ensure a beautiful hair setting. 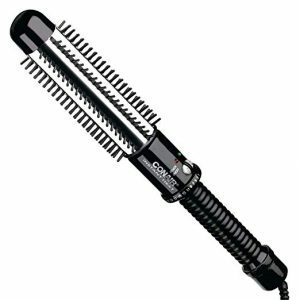 Conair Styling Essentials Thermal Ionic Rollers, Super: The ions reduces the frizz. It sets the hair perfectly for hairstyles. It also makes your hair look smooth, shiny and healthy. Velcro Brand Classic Stylers Rollers: It creates hair curls as well as natural waves. It can be handled easily as it’s easy to roll and remove. It does not cause any damage to the hair. It can be used for dry as well as wet hair. Magnetic rollers add smooth curl and volume. Because they are used to set wet hair, they offer long-lasting curl. Foam rollers give curl to fragile hair and are best used when your hair is dry; they’re even soft enough to sleep on. For more elaborate dressed hairstyle be it a 40’s or 50’s “hairstyle”, extra style support or a longer lasting hairstyle even if you have failed at using the hairdryer and brush method, then rollers or setting the hair may be the answer. The above mentioned different types of hair rollers, velcro rollers and hot sticks simply provide a shape to mould your hair around, which, once fully dried and cooled off, will often last longer than a blow-dry. When used with the right finishing product they will also add curl to straight hair.